Sky Blues sack manager Thorn. 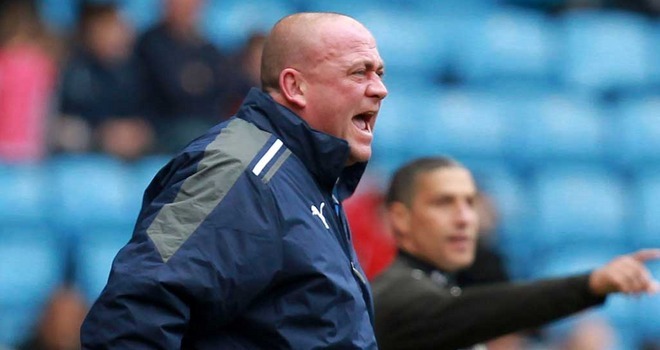 Earlier this afternoon, Coventry City confirmed they had parted ways with manager Andy Thorn. Thorn, who joined the club as Head Scout, found himself as the caretaker manager, alongside Steve Harrison at the end of the 2010/2011 season following the dismissal of Aidy Boothroyd after less than a season at the helm. Following a string of positive results, Thorn was appointed as manager full time with his first official game in charge at home to Reading in the final game of the 2010/2011 season. Last season, Thorn’s first full season in charge, ended up in disappointment as the club were relegated to the third tier of English football for the first time in 48 years, and after a less than dominant start to the new season, the club have decided a change was needed, with assistants, Richard Shaw and Lee Carsley overseeing first team affairs until a new manager is appointed. The news follows a string of rumours abound Twitter and Facebook following the club’s 2-2 draw with Bury yesterday that Thorn was to depart The Ricoh Arena. With social networking such a dominant feature these days, Coventry City fans have already started to speculate who the new manager might be, with names such as Dennis Wise, Alan Curbishley and Sean Dyche all being touted, as well as either Shaw or Carsley being appointed on a permanent basis, much like Thorn was 16 months ago. Head over to our Facebook page to vote on our poll or send us a tweet @ccfctv!